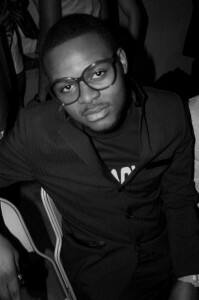 Folarin “Falz” Falana took up Rap as a hobby towards the end of his secondary school education. Growing up listening to Nigerian legends Fela Anikulapo-Kuti, Trybesmen, Plantashun Boiz and several other local and international big names, ‘Falz’ gradually unraveled his talent in music. He was initially particular about rap/hip-hop as opposed to anything else before he discovered his love for other genres of music. He wrote a few mediocre verses at first, just like any beginner would have, but as mediocrity has never been attached to his name, he soon blew many away with impressive rap performances. Falz performed to local audiences, and quickly gained recognition far and wide while improving lyrically. His exceptionally unique style differs him from many other modern rappers while giving him the upper hand. Due to this uniqueness, he has not often been compared to other musicians. Based in London, England, Falz lead single off the Mixtape, Shakara, is now being played in Lagos. Falz is now working on his debut album. But his unique delivery, humor, impressions, and storytelling, have already solidified him as a leading contender.